What is the YourHealth Hospital Patient Portal? A secure website through which you may view your laboratory and radiology results, your inpatient stay, medications as of last visit, and upcoming/ recent hospital appointments. The YourHealth portal allows you to have convenient, easy access to your personal health information anytime and anywhere. Either link will take you out of our site. Please make sure that if using Internet Explorer, you are on version 11 or greater and that Adobe Reader is installed on your computer to accurately display your patient information. Are you experiencing a technical error? What information can I see in YourHealth Hospital Patient Portal? 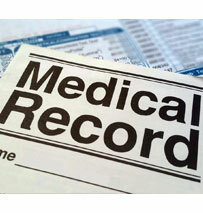 You can view information from your medical record such as laboratory and radiology results, medications, allergies, immunizations, medical history upon your last discharge from Olean General Hospital or Bradford Regional Medical Center, as well as recent and upcoming appointments with our hospitals. You may also view/ print/ download your personal health summary. Cuba Memorial Hospital believes that YourHealth is a valuable tool for patients and their families to actively participate in their care, which contributes to better health.